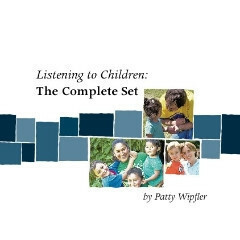 This booklet set provides a thorough summary of Parenting by Connection, covering all of the Listening Tools. By Hand in Hand Parenting Founder, Patty Wipfler, they are clearly written, full of helpful stories of how the Listening Tools can be used, and organised so that you can get the information you need, when you need it. Including postage in Australia, the booklets cost $AUD35 (with a processing fee if you pay by credit card). Please put your details below, and we will provide you with information about how to pay. If you join our mailing list, you might like to read our Privacy and Email Policy. If you would like to purchase an electonic copy, you can do so HERE.